How can Basis stay ahead of the pack? The announcement of the Basis Peak marks another leap forward in wearable tech, and wrist worn trackers are getting seriously powerful. 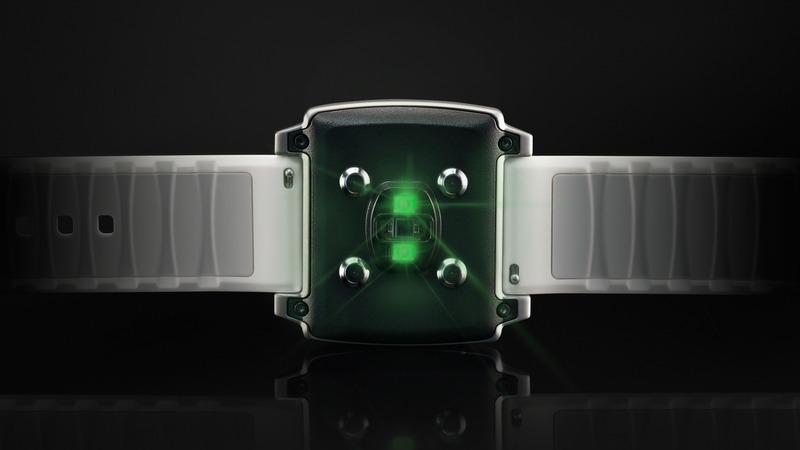 Until now accurate heart rate sensing has only been possible using a chest strap – which is an optional extra on top of already expensive GPS running watches. With the Basis Peak, however, the Intel owned company reckons its sensors can accurately track your exertion from your wrist, something that the biggest names in technology are yet to crack. Intel was so impressed by Basis' tech that it snapped up the company in March 2014, for a figure that's believed to be in excess of $100m. What's more, Intel VP Mike Bell praised the company for the “actual science" behind its sensor tech. But who is Basis? And how has it managed to get so far ahead in sensor technology? We caught up with Product VP Ethan Fassett, who spoke exclusively to Wareable about what's made Basis such a leader. “At Basis we're focused on improving people's health, focus is the key to everything we do," Fassett told us. The focus has been working on the optical heart rate sensor, which uses LEDs to 'see' through skin and monitor the minute colour changes caused by blood pulsing though your arteries. “Cardiovascular insights are fundamental to understanding exertion, so that's where we focused," said Fassett. "With accurate sensors we can help overcome problems like indoor cycling, which is nearly impossible to track using motion sensors, because on the surface it appears you're doing next to nothing. With Peak we can triage that and give you correct information about your calorie burn." Poor heart rate monitoring and inaccuracy have plagued activity trackers, many of which have to estimate miles and steps with sensors that are easily fooled. “These are hard problems to solve," said Fassett. “We identified the issues and we started on them earlier than our competitors," he continued. However, Fassett is under no illusion that it can hold its lead forever. “There are huge companies out there full of very talented people so it won't be long until they catch up." So does that mean that Basis' days are numbered? Or with Intel backing, can it stay one step ahead of the likes of Sony and Samsung? “The innovations we've made with Peak are profound, and it's going to take a while for our competitors to catch up. But we've built this lead due to our focus and by being in the game the longest," he said. However, the innovation is far from over, and heart rate monitoring is just the beginning of a bevy of sensors that are destined to supercharge wearable tech. If Basis can start to innovate those as it has done with heart rate sensing, it could stay one step ahead of the big boys. That's the goal, with Fassett telling us: “There are other biometrics we've identified that can help us achieve our goal of helping people lead healthier lives, and we will set ourselves about solving those problems with the same focus."